Rajnath Singh said nothing could stop BJP from winning all 42 Lok Sabha seats in West Bengal this time. 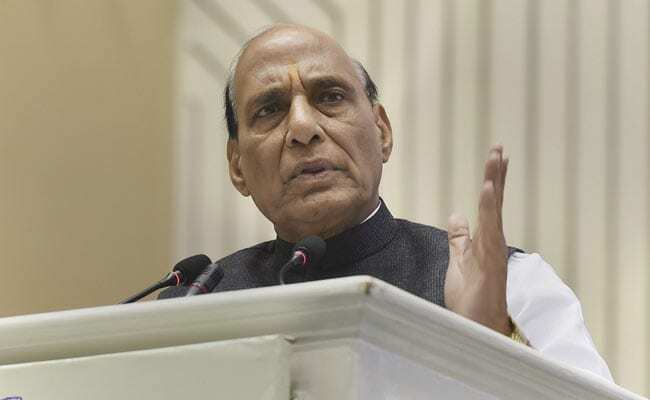 The Central government has decided to use a new technology to seal India’s international borders with Bangladesh passing through Assam and West Bengal by putting in place a comprehensive integrated border management system, Union Home Minister Rajnath Singh said in West Bengal’s Falakata on Saturday. “But I would like to tell you, if we don’t get cooperation from the state government, we will put in a new system,” Mr Singh told a rally in Alipurduar district. The Union Minister said that during his visit to Israel, he saw the Middle East nation taking the help of technology to secure its borders. “So we have also taken a decision that we will seal Bengal and Assam’s borders with Bangladesh. “We will put in place a comprehensive integrated border management system. In other words, we will use technology to completely seal the borders with Bangladesh so that infiltrators do not enter any more. Slamming the Trinamool Congress government, he said “anti-national” and “anti-social” forces are active in the state and law and order situation is “dismal”. He said the huge gathering at the rally was a proof that there was “no power” on earth which could prevent BJP from winning all the 42 Lok Sabha seats in West Bengal this time. “Your enthusiasm also tells me that when Assembly elections are held here in 2021, there will be a BJP Chief Minister,” he added.